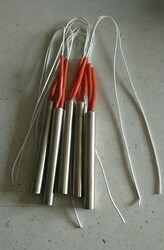 Size 35 x 45mm/1.4" x 1.8"
It is mainly used in the heating devices of solder machine stuffing container. Reasonable structure, attractive appearance, stable performance, quick heating, fine insulation performance, high pressure resistant. 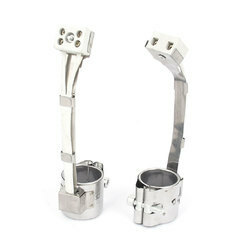 Features: Rust resistant steel sheath, stainless steel clamp type lock-up, notched sleeve allows installation, flush with nozzle he, mica insulation. Being a noteworthy enterprise of this industry, we are offering a wide spectrum of High Density Heater. 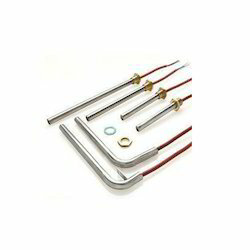 Our offered heater is checked on various quality parameters for to ensuring the quality. The heater offered by us uses less power, runs more efficiently and survives more. Additionally, our offered heater can be availed by our clients in customized options at competitive prices. Highly acknowledged for its quality, our company is engaged in offering a wide gamut of High Density Cartridge Heater. 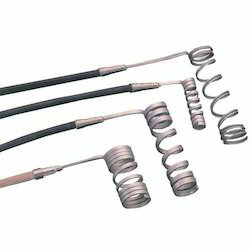 The offered cartridge heater is known for their durability, excellent performance & easy installation. 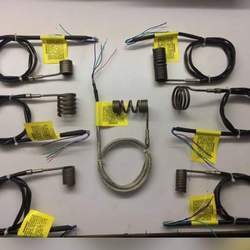 This cartridge heater is manufactured by using superior quality components and leading technology in compliance with the set industry standards. 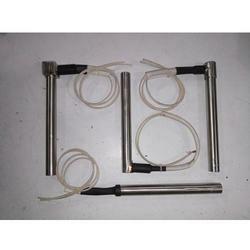 Also, the offered cartridge heater can be availed by our customers at industry prices. 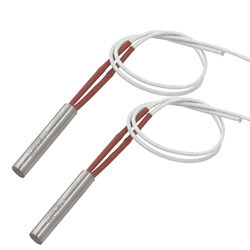 We are the Manufacturer of Micro coil heaters. 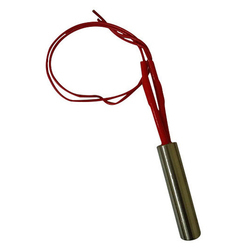 We are the manufacturer of High density cartridge heater.